The hunt is on... You know that running is not an option as you start to feel your heart beat faster and you race against time... Searching, you pause to gather your thoughts as the time continues ticking and you know that the case has to be solved and you need to escape! The Escape Hunt in George St, Sydney is certainly an addictive, challenging, educational and of course jam-packed fun adults activity to conquer. With three adventures across six different rooms to choose from, ranging from beginner to advanced- it is certainly a must do! 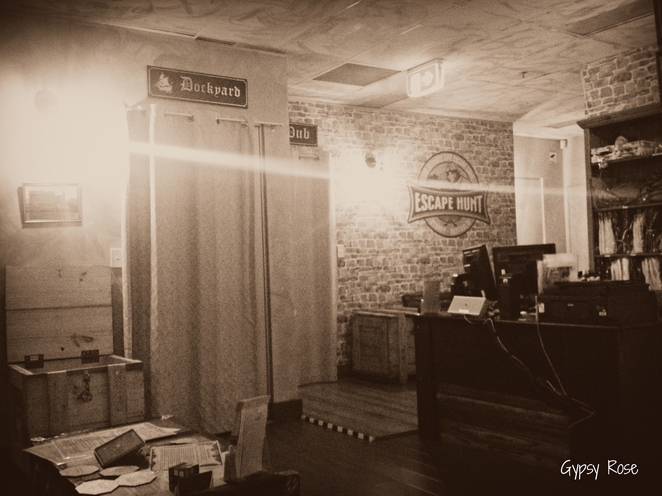 The concept of The Escape Hunt is you need to play (usually as a group) the part of a famous detective and you must solve mysteries set in historic Sydney The Rocks area. 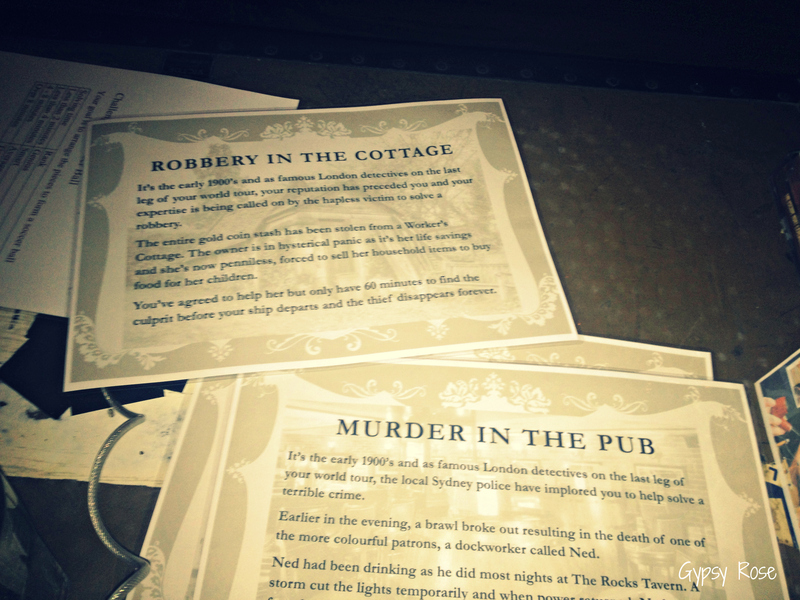 The mysteries range from robbery, murder and extortion. At first we entered the "Robbery in the Cottage" room and we were puzzled on what to do and where to look. Then after moving around some items we started to discover maps, coins, money notes and other items. We quickly started to get into the whole "detective role" and scribbled out notes and ideas onto the white board as we furthered our search. What makes your escape difficult is you cannot take any electronics inside such phones, iPads and other devices which will "help" you to cheat, so therefore, you are using 100% of your brain. 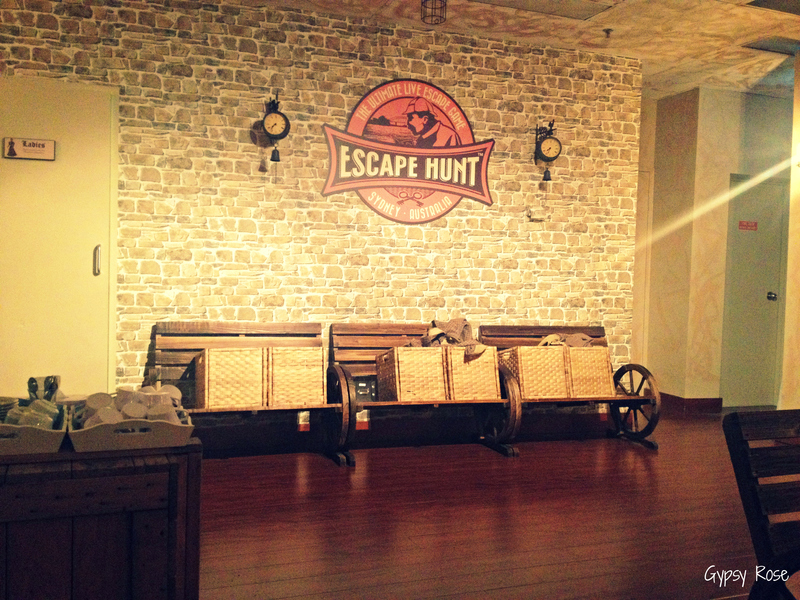 Skills and of course working as a team will help you conquer the escape hunt quicker! Each staff member plays the role of senior detective, and you have three "help lifelines" which are questions you can ask the senior detective which helps bring you that step closer to solving the mystery and finding the key to escape. If you are looking for something different to do with your other half or group of friends, then this is definitely a must add to the list. It was certainly different, extremely fun, and highly addictive and I cannot wait to return and conquer the advanced rooms!